NEW BEDFORD, Mass. (July 18, 2017) – AHEAD has announced its 2018 spring-summer collection of headwear that features new performance fabrics and styles, fashion items inspired by hot industry trends, and an array of options with the company’s industry-leading alternative graphics and ornamentation techniques. The new headwear offerings for both the AHEAD and Kate Lord brands will debut at the 2017 PGA Fashion & Demo Experience, Aug. 14-16, in Las Vegas. Triggered by the past success with its GrafixWeld™ technology on its apparel brands, AHEAD will now offer the smooth, techy ornamentation technique on select headwear. All GrafixWeld logos are made to order, and color coordinated to every item. A new Space Dye Tech hat that ties back to AHEAD’s apparel for spring and summer will be available for men and women alike. With a space dye front and sphere tech back and visor, the mid-fit hat debuts in three color combinations for men, and four for women. New for men is a trendy Performance Mesh Back cap, a structured classic fit option that boasts an aegis tech front, and a birdseye mesh back and undervisor. The seven color combinations include brand-new colors on the men’s side—cowboy blue and cobalt. In addition, a winter grey/white camo option is sure to be an instant hit, Lord predicted. The popular men’s Performance Ballmarker Cap has received a performance update and includes a convenient rubber magnet on the visor’s right side. It will be available in white, red, cowboy blue, and graphite, another new men’s color being introduced for spring-summer ’18. In addition to the Space Dye Tech hat, Lord said the Kate Lord offerings for Spring-Summer ’18 “are as robust as ever.” He pointed to the new Ladies’ Knit with Pom (three colors: white, heather, charcoal) that capitalizes on the fur pom trend, plus a wide selection of visors that tie in perfectly with the new Kate Lord’s Essentials offerings. Vibrant colors such as dahlia, persimmon, surf and freesia provide a diverse color palate that will appeal to everyone both on course and off. The company will be exhibiting its new spring-summer ’18 headwear and apparel lines in booth 602 at the PGA Fashion & Demo Experience at Las Vegas’ Venetian Resort. For more information on AHEAD, visit www.Aheadweb.com. NEW BEDFORD, Mass. (Feb. 21, 2017) – One of the country’s top headwear, apparel and accessories brands for the green grass, resort, collegiate, and corporate markets, AHEAD, announced it has extended its agreement with The PGA of America as an official merchandise licensee for its spectator events, including the 2017 PGA Championship to be played at Quail Hollow Club in Charlotte, N.C. This multi-year agreement will extend the relationship through 2018. AHEAD values its 17-year relationship with the PGA of America and the opportunity to play a significant role in the annual PGA Championship, Sr. PGA Championship, and the 2016 Ryder Cup. “Under the leadership of Mike Quirk, the PGA has tried some innovative new concepts that we are proud to be a part of,” said Anne Broholm, CEO of AHEAD. AHEAD is a leading supplier of headwear to the PGA of America, USGA, Ryder Cup, and numerous PGA Tour events in addition to more than 5,000 green grass and resort shops throughout the world. 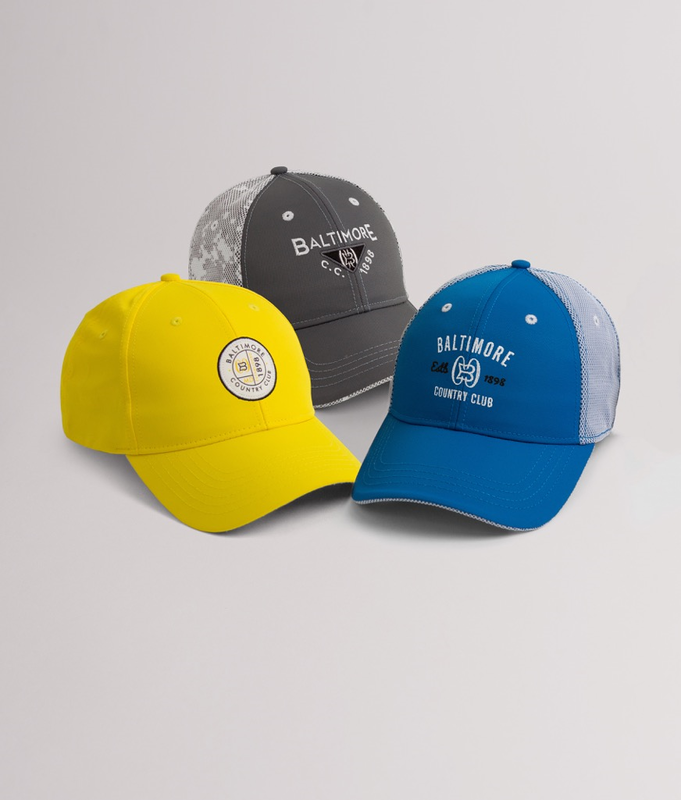 AHEAD is best known for its premier headwear collections that feature original approaches to logo embroidery options. Founded in 1995, AHEAD has been able to capitalize on the golf industry’s desire for high-quality graphics on headwear and an array of men’s and women’s apparel. For additional information about AHEAD, visit www.aheadweb.com. Founded in 1995, AHEAD is a multi-dimensional brand with a proven track record of success distributing headwear, apparel, and accessories to the green grass, resort and corporate markets. Its single focus of providing quality products, with innovative, high-quality design, and merchandising concepts has led to 19 years of continued growth and expansion. Among active professional golfers who wear AHEAD gear on the course are Jim Furyk, Sean O’Hair and Brittany Lincicome. Golf legends Jack Nicklaus and ANNIKA wear AHEAD exclusively.